Forces Insurance - DDS Cars - Tax Free & Tax Paid Cars for the Forces & Diplomatic Corps. Outstanding insurance cover without compromise. you’ll be in safe hands with Forces Insurance. With accident assistance, key cover, deployment insurance suspension, (meaning your payments drop while on deployment), and a hire car should you have and accident, all available, Forces insurance cover is a cut above the competition. Forces Insurance can arrange Military and Diplomatic insurance for a number of countries across Europe including Germany, Holland, Italy and Belgium (including SHAPE). In addition, cover is provided throughout the UK (including Northern Ireland). 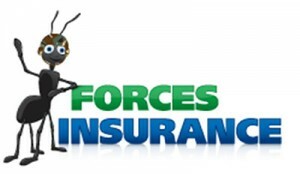 So the chances are Forces Insurance will be able to offer you an excellent solution. or hit the Forces Insurance Logo above to be taken to their website.